Why Switch Your Nitrogen Gas Source? How Can a Nitrogen Generator Produce Valuable ROI? Eliminating routine costs and inefficiencies outlined above. Producing only the N2 gas you need, when you need it, and at the flow rate you require. Taking advantage of the South-Tek Systems MAP-IT Flow and Purity Verification System to identify the exact flow rates and purity of nitrogen gas required for your application. Using our Performance Verification System to monitor the performance of your system and be guaranteed that the Nitrogen Generator you purchase meets or exceeds the specifications requested. How much, and within what time period, a Nitrogen Generator will positively impact your bottom line - in other words, measuring your ROI - is key to making your decision. Once you lease or purchase your nitrogen generating system, you will start saving on all those excess expenses we mentioned above as well as improve plant efficiency by cutting administrative and operational tasks tied to bulk N2 gas contracts, delivery, and storage. Once the Nitrogen Generator has paid for itself in terms of cost savings, this will result in cash flow for your business. If you go on to add up monthly savings and future cash flows, subtract out your initial investment, and end up with a positive result, it may be time to request a cost estimate for your Nitrogen Generator. South-Tek Systems is a leading designer and manufacturer of Nitrogen generating systems. Our featured product line for industrial applications is the N2 GEN Series, available in a variety of sizes, outputs, and N2 gas purity levels. We invite you to contact the experts at South-Tek Systems today to obtain pricing on a Nitrogen Generator for your facility: 888-526-6284. Nitrogen gas is a clean, dry, inert gas used in a wide range of industries for hundreds of applications including lab uses, power generation, chemical processing, packaging, bottling, military operations, and many more. N2 gas is often used to purge oxygen and create a dry and sterile environment. Purging with Nitrogen can sterilize a product, prolong shelf life, de-fog optics, prevent corrosion, and much more. Using a Nitrogen Generator to produce high purity N2 gas at the point of process is a superior alternative to dealing with contracts on bulk and liquid Nitrogen gas deliveries. Nitrogen Generators create the N2 gas you need, when you need it, safely and reliably and at a significantly lower cost than high pressure cylinder deliveries. At South-Tek Systems, a leading Nitrogen Gas Generator supplier, we designed and manufacture the N2-GEN Series Nitrogen Generating Systems for lab, industrial, processing, and military uses. We have a range of different size units from small, portable units ideal for field or mobile uses to skid mounted and high pressure units. Each model varies in N2 output and purity so we can really cater to the precise needs of the application. 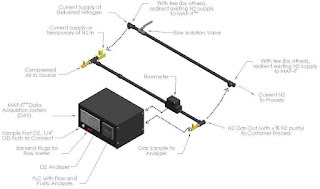 As an added measure of accuracy, we have developed the MAP-IT Flow and Purity Verification System to ensure that your application is fitted with the most ideal N2-GEN System. We also employ our Performance Verification System so we can monitor the performance of your N2-GEN System and ensure that it's delivering the best outcome for your application. Contact South-Tek Systems today to learn more about how our Nitrogen Generators can significantly benefit your operation: 888-526-6284. The new Performance Verification System™ from South-Tek Systems is designed to monitor and log the performance of every industrial Nitrogen Generator installed at a client facility. This system guarantees that the Nitrogen Generator purchased meets or exceeds the specifications requested. 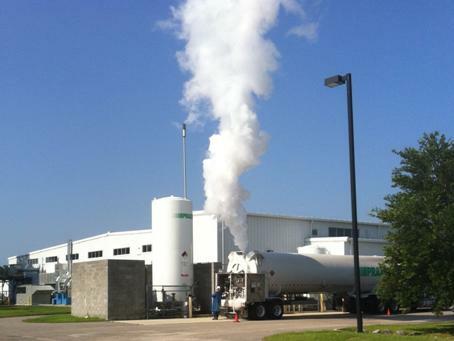 Wilmington, N.C., September 2012 - A Nitrogen Generator installed at a plant or facility can deliver an unlimited supply of high purity Nitrogen gas right at the point of process while also reducing N2 gas costs by up to ninety percent. These units will deliver the flow and N2 purity levels necessary for a specific application. South-Tek Systems, a leading manufacturer of Nitrogen Generator equipment, introduces their Performance Verification System™ to ensure that the initial performance expectations of their N2 gas generating equipment are met and maintained. This Performance Verification System™ (PVS) was designed, installed and certified by a third party. With its Data Acquisition System (DAS), the PVS monitors and logs data such as the exact parameters of the N2-GEN® - Nitrogen Generation System during actual operation, in real time. This guarantees the Nitrogen generator purchased meets or exceeds the specification requested. The parameters provided include compressed AIR FLOW IN, compressed AIR PRESSURE IN, NITROGEN FLOW OUT, NITROGEN PRESSURE OUT and NITROGEN PURITY OUT. 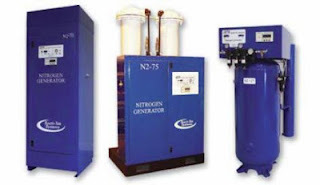 South-Tek Systems is a leading supplier of Nitrogen Generator equipment, including their N2-GEN® - Nitrogen Generation System, a series of Nitrogen Generators designed to accommodate varying rates of output and purity. Ranging from compact and portable units, to tank mounted, skid mounted, and cabinet systems using either Pressure Swing Adsorption (PSA) or Membrane technology, the N2-GEN® Series can be used for many different industrial applications. "We are thrilled to roll out the PVS," says Charles Metzler, head of Industrial and Military Sales for South-Tek Systems. "This feature allows the customer to see real data of their system's performance and can help identify any issues or maintenance needs. It can also be instrumental in process efficiency tuning. The PVS is a remarkable way to guarantee a successful return on investment for our customers." South-Tek Systems is dedicated to providing their customers with the best possible Nitrogen Generator product as well as system support from the moment the unit is sold. From the MAP-IT™ Flow and Purity Verification System prior to the system installation, through training, installation, and follow up via the PVS, South-Tek Systems is committed to delivering a high performance N2 gas generating system that is guaranteed to meet expectations. To learn more about South-Tek Systems and the PVS, visit http://www.SouthTekSystems.com or call 888-526-6284. South-Tek Systems now uses the patent pending MAP-IT™ Flow and Purity Verification System for their nitrogen gas generating units. This system allows the company to identify the exact flow rates and purity of nitrogen gas required for a client's application. Wilmington, N.C., September 2012 - South-Tek Systems is pleased to introduce the MAP-IT™ Flow and Purity Verification System now used to determine a client's nitrogen gas requirements in order to outfit a facility with the most appropriate Nitrogen Generator system for its needs. This system eliminates any guess work or estimation from the process of purchasing and installing a new Nitrogen Generator unit. A Nitrogen Generator system is a cost effective, safe, and reliable alternative to N2 gas deliveries in high pressure cylinders. It provides an unlimited supply of high purity Nitrogen gas at the point of process and eliminates the need for ordering Nitrogen dewars, high pressure cylinders or liquid bulk tank fills. A Nitrogen Generator installed at a facility will save fifty to ninety percent off a company's current or anticipated Nitrogen gas costs, therefore significantly reducing operating costs. South-Tek Systems is a leading engineer and manufacturer of Nitrogen Generators, supplying private and government owned facilities worldwide with this self-generating source of high purity N2 gas. Their signature N2-GEN® Series of Nitrogen Generators are designed with varying levels of output and purities, making the N2-GEN® system ideal for any size application. The MAP-IT™ Flow and Purity Verification System has been designed and is implemented by South-Tek Systems to ensure that the most ideal nitrogen gas generating system is fitted for each and every client facility and operation. The MAP-IT™ system will determine the maximum Nitrogen flow rate and optimum Nitrogen purity for any application, prior to choosing and installing the new Nitrogen Generator unit. "South-Tek Systems has been using a Flow Verification System for some time now to help ensure that we are providing clients with the ideal product for their usage," comments Charles Metzler, the head of Industrial and Military Sales at South-Tek Systems. "The MAP-IT™ system is an exciting improvement on our original technology, with an improved data acquisition system as well as O2, flow, and purity analyzers." To learn more about how the MAP-IT™ Flow and Purity Verification System works and how it can benefit your operation, contact South-Tek Systems at http://www.SouthTekSystems.com or 888-526-6284. Is this what your gas company is doing with your Nitrogen cost? Have you ever painted your house, purchased several gallons more paint than you ended up using, and were left with expensive excess paint that NEVER ended up on a wall? Paying for more of something that you need, then seeing the excess go to waste is a frustrating experience. You may not realize it, but that is exactly what happens with your Nitrogen contract from the gas company. The bulk tank of liquid Nitrogen you have on auto refill loses up to 2% of its volume per day in vented N2 gas. It goes right back into the air - even though you are paying for it. So how can you get exactly the Nitrogen you need, at the purity your process demands, without paying for wasted product? And without relying on gas deliveries and signing never-ending gas contracts? A Nitrogen Gas Generator allows you to generate the Nitrogen you need and is customized for your flow rate and purity. Because the Nitrogen is produced automatically, in response to demand from your process, you NEVER pay for waste and you never have to wait for Nitrogen to be delivered again. There may be no way to avoid that wasted paint, but a Nitrogen Generator can eliminate wasted money, and save you thousands of dollars on your N2 gas supply. So what are you waiting for? Stop this inefficient method and explore the use of Nitrogen Generators today. No longer is it necessary to worry about the safety and logistical issues involved in delivering high pressure N2 cylinders. A Nitrogen Generator allows you to produce your own nitrogen, on demand, by separating out the 78% of the air that is nitrogen, lowering your gas bill by 90%! South-Tek Systems' Nitrogen Generators separate Nitrogen from the air using Membrane and Pressure Swing Adsorption (PSA) technology. Seventy-Eight percent of the air we breathe is made up of Nitrogen, so the Nitrogen Generator allows you to produce an unlimited supply of Nitrogen by removing oxygen and other residual molecules from the process. Nitrogen is then able to flow freely through the outlet of the vessel where it is collected in a surge/storage tank for process use. South-Tek Systems, founded in 1997, is a Nitrogen Generator manufacturer, designing and producing Nitrogen generating systems for worldwide distribution. They have installations in a broad range of fields including industrial process facilities, government, military, food service industry, automotive industry and tire shops, and more. To learn more about South-Tek Systems and their PSA and Membrane Nitrogen Generator Systems, please visit www.southteksystems.com or call directly at 888-526-6284. South-Tek Systems, a leading nitrogen generator supplier, has installed their signature N2-GEN® PSA gas generating system at the ACD facility in Richardson, Texas. ACD is a top supplier to the electronics industry. Wilmington, N.C., September 2012 - South-Tek Systems, a North Carolina based Nitrogen gas supplier, has long worked with major manufacturers within the electronics industry to install nitrogen generator systems that save on operating costs and provide high purity nitrogen gas. Their most recent installation was at the ACD facility in Richardson, Texas. ACD is a leading supplier to the electronics industry, specifically to the printed circuit board industry. The installation of the South-Tek Systems' N2-GEN® C Series Pressure Swing Adsorption (PSA) Nitrogen Generator at the ACD facility allows the company to produce N2 gas with purities up to 99.999 percent. It also lowers operating costs for ACD. The N2-GEN® nitrogen gas generating system is installed at the point of process, generating high purity N2 gas from compressed air using a simple PSA technology. This PSA technology isolates nitrogen molecules from pressurized air, sending them to a receiving tank where the N2 gas can be accessed for a variety of applications. This nitrogen gas generating system increases reliability and safety while cutting operating expenses. "Adding Nitrogen generation not only decreased ACD's operating costs, but also gives us higher quality Nitrogen for the production floor," stated W. Scott Fillebrown, ACD's President & CEO. ACD was founded in 1984 and is a full service electronics manufacturing services (EMS) company. ACD's services comprise complete circuit board layout, DFM/DFA capability, printed circuit fabrication, component procurement, thru-hole, SMT and part-on-part mixed technology assembly, box build, rework, flying probe, functional and JTAG test, and development. For more information about ACD, visit http://www.ACDUSA.com. 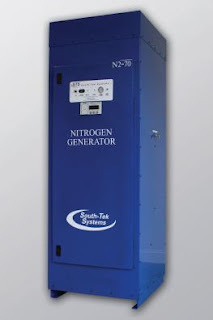 To learn more about the N2-GEN® PSA Nitrogen Generator and South-Tek Systems, please visit http://www.SouthTekSystems.com. Medical supply packaging requires that a high level of care be taken to ensure the safety, cleanliness, and sterility of the contents. Due to the sensitive nature of the application, medical supplies must be sterilized prior to and during packaging. 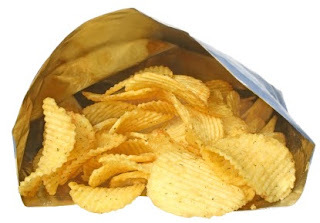 Their packaging must protect the product during transportation and storage and ensure a long shelf life as well. 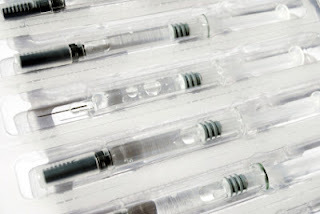 Why Use Nitrogen Gas with Medical Supply Packaging? Nitrogen gas is often used with medical supply packaging for purposes of sterilization, protection, and extended freshness and shelf life. Because N2 gas is a dry, inert gas, it can be applied to medical supply packaging to remove oxygen and eliminate the potential for moisture to develop. Moisture would be detrimental to the product because it could allow bacteria to develop and/or alter the nature of the medical supply product over time. Nitrogen works to purge the medical supply packaging of oxygen before it's sealed. The product is then packaged in high purity N2 gas to help maintain its integrity, protect it during transport, ensure that it is sterile, and extend its shelf life. Companies who specialize in medical supply packaging would benefit from the installation of a Nitrogen Generator at the plant. The ownership of this equipment would enable the production of high purity N2 gas directly at the point of process without need for high pressure cylinders, change-outs, tank storage, gas company contracts or deliveries. A Nitrogen Generator cuts operating costs while also providing ease-of-use and high purity N2 gas. South-Tek Systems is a Nitrogen gas supplier specializing in the engineering and manufacturing of Nitrogen Generators. Their N2 gas generating systems are used with medical supply packaging as well as a variety of applications in wide ranging industries. Their Nitrogen Generator equipment is installed in facilities across the globe. 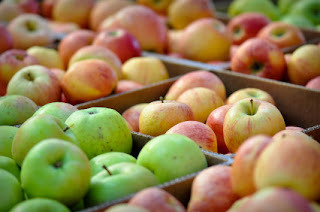 The storage of fruits and vegetables, and particularly produce such as apples and pears, can be optimized with the use of Controlled Atmosphere Storage. This process works by maintaining specific settings for elements including temperature, oxygen, carbon dioxide, and humidity. The controlled atmosphere allows produce to remain fresh and crisp longer because the ripening process is significantly slowed. Nitrogen gas is used to control the atmosphere of the storage room because it is an inert gas that can displace and reduce the presence of oxygen which also decreases the humidity level. Limiting oxygen and humidity using nitrogen gas will help slow the fruit's ripening process and preserve freshness for a longer period of time. Nitrogen generating systems installed at the point of process for Controlled Atmosphere Storage are a safe and reliable alternative to liquid N2 gas stored in high pressure cylinders. South-Tek Systems is a leading manufacturer of Nitrogen Generators used in a wide variety of applications, including food packaging, modified atmosphere packaging, and controlled atmosphere storage. To learn more about Controlled Atmosphere Storage for Fruits and Vegetables using nitrogen gas, please contact South-Tek Systems at 888-526-6284. Nitrogen Generator engineering and manufacturing company, South-Tek Systems, recently welcomed new employee Brad Smith. Mr. Smith is an engineer who will be working on current product upgrades and development of new nitrogen generating systems. Wilmington, N.C., March 2012 -- South-Tek Systems experienced a great deal of growth throughout 2011 which was reflected in the expansion of their in-house staff. From administration, to marketing, to engineering, South-Tek Systems welcomed new employees to help manage, develop, and expand their growing footprint. This leading creator of nitrogen gas generating systems has most recently welcomed Brad Smith to its engineering staff. Mr. Smith is a 2010 graduate of North Carolina State University where he earned a B.S. in Mechanical Engineering. Prior to coming on full time at South-Tek Systems, he was a full-time student pursuing his Master's Degree in Mechanical Engineering. South-Tek is pleased to welcome Mr. Smith to the Engineering Team where he will be working alongside James Nguyen, lead Project Engineer. The Engineering Team at South-Tek Systems is charged with the design and functionality of every Nitrogen Generator System developed at the company. From the compact N2GEN® Membrane and PSA Nitrogen Generators, to high pressure systems, to large portable systems, the Engineering Team is responsible for the performance and behavior of every system model developed at the company. In addition to the mechanical engineering of the South-Tek products, the Engineering Team also developed the Flow Verification Program to help assess the flow rate requirements of their clients. This program monitors clients' current N2 gas flow rates in order to fit them with the optimal size and model Nitrogen Generator system. South-Tek Systems is devoted to the quality and performance of their Nitrogen Generators. They manage every aspect of their business, from the design and engineering of the products, to the manufacturing, sales, marketing, client training, and installation of the systems. Their dedication to innovation and quality control has helped cement them as a leader in their field, propelling them to growth and worldwide reach. The addition of Mr. Smith to the Engineering Team at South-Tek Systems provides more opportunities to develop current product upgrades and enhancements as well as new product ideas. South-Tek markets their Nitrogen Generators to laboratory, industrial, GSA and U.S. military clients as well as franchise and corporate businesses in diverse sectors including tire and automobile repair, fire simulator smoke machines, commercial and residential fire protection systems, and draft beverage service. 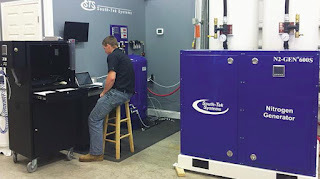 To learn more about South-Tek Systems and their Nitrogen Generator products, visit http://www.SouthTekSystems.com and http://www.SouthTekSystems.com/our-products.asp. 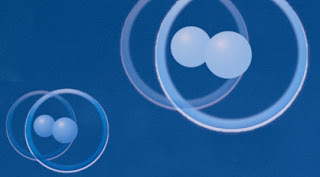 Nitrogen Generators separate N2 molecules directly from the air we breathe. The air contains 79% nitrogen and nitrogen generators use simple, green technology to filter out the other gases, concentrating the nitrogen gas into a storage tank for process usage. In an earlier post on this blog, we discussed PSA technology with nitrogen generators. 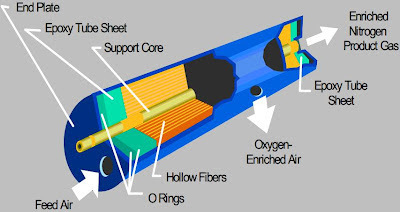 PSA technology uses a pressurized carbon molecular sieve (CMS) to capture O2, CO2, CO and other molecules while N2 molecules are drawn off into N2 receiving tank. The CMS is then flushed and cleansed, ready for new air. Membrane technology with nitrogen generators uses compressed air forced through a polymeric hollow fiber to selectively permeate oxygen, water vapor, and other impurities out of its side walls while allowing nitrogen to flow through its center and emerge as high purity N2 gas. South-Tek Systems uses Membrane technology with our N2 GEN Series Compact Nitrogen Generators as well as in our BeerBlast® and TireBlast® products. To learn more about how we use Membrane technology with our nitrogen gas generators, please visit South-Tek Systems Membrane Specialty Filtration Technology. The South Refinery Company, an Iraqi Government-owned oil company, is now using nitrogen generating systems from U.S. based South-Tek Systems at their Basra plant. The decision to install these PSA N2 generators comes as the company makes repairs to their facility, demonstrating self sufficiency, ingenuity, and resourcefulness. Wilmington, N.C., February 2012 -- South-Tek Systems announces its first PSA Nitrogen Generator industrial installation in Iraq at the South Refinery Company (SRC), an Iraqi Government-owned oil company in Basra. The South Refinery Company is in the process of undertaking a major modernization of its Basra refinery, and the company has already gained attention as making major steps forward in the economic self-sufficiency of the country. Extensive repairs have already been completed at the facility, which is owned by the Iraqi government and overseen by the Ministry of Oil. 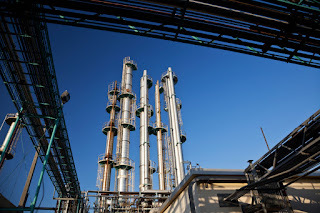 A feasibility study is currently under way to determine additional modernization and repair necessary to further utilize the refinery to increase the economic independence of Iraq, which is receiving worldwide attention (See: http://www.army.mil/article/49666/major-iraqi-oil-refinery-demonstrates-self-sufficiency/?ref=news-environment-title1). In the coming months, South-Tek expects to host a delegation of SRC plant personnel for training in the operation and maintenance of the generator at their manufacturing facility in Wilmington. "We are excited with this first installation in Iraq," says South-Tek's Military/Industrial Sales Manager, Charles Metzler. "It has been a learning experience for our staff as well as for the end users in Iraq. We have found the refinery personnel there to be quick to grasp the advantages of having the ability to generate nitrogen right where they need it at the plant. They are motivated to learn as much as possible in order to successfully maintain and prolong the life of the equipment, given that there is limited access to parts and outside service resources in Basra. We are looking forward to our continued communication with the SRC staff on these matters." South-Tek Systems was founded in 1997 and has grown to become one of the leading Nitrogen Generator engineering and manufacturing companies worldwide. Their commitment to quality, efficiency, and outstanding service has helped them expand their footprint to overseas markets including military bases as well as private and government owned companies. South-Tek Systems recently renewed their GSA contract through 2016 and they were honored to have their N2 GEN compact Nitrogen Generator system pass the Expedited Modernization Initiative Procedure (EMIP Review) by the U.S. military in 2009..
To learn more about South-Tek Systems, visit http://www.SouthTekSystems.com and their blog at http://www.SouthTekTalk.com.